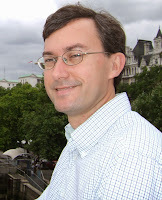 The following is a guest post by Dr. Everett Redmond, NEI's Senior Director, Policy Development. There’s a lot to like about the small modular reactor design that NuScale Power submitted yesterday to the Nuclear Regulatory Commission. Most often people talk about the ability to build such reactors in a factory and ship them by truck or rail, in nearly-finished form, to where they are needed, and to add generating capacity to a plant in modest increments, as demand grows. But it’s easy to overlook another strength of the NuScale design: one of its intrinsic features is a simple way to enhance the safety of the reactor fuel. There’s a fancy name for this feature: a high surface-to-volume ratio. In plain English, as a container gets smaller, its surface area gets larger relative to its volume, a phenomenon obvious to anyone who cooks. 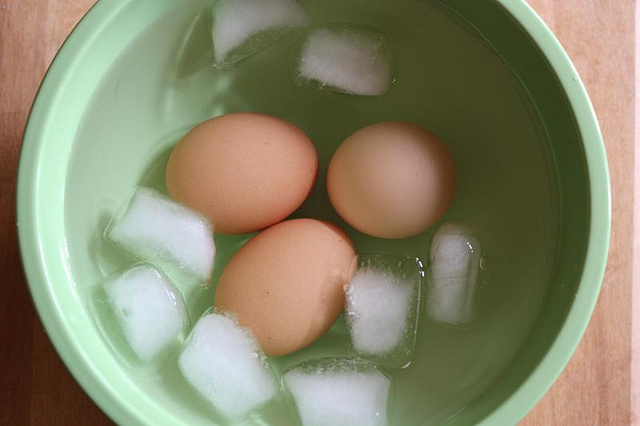 Take a hardboiled egg out of the pot of boiling water and put it into a bowl of cold water, and the egg cools very quickly. It does that because the water draws away the heat much faster than air could, and the area of the egg shell is relatively large compared to volume of the egg. Contrast this with a boiled potato that would take longer to cool because its surface area is smaller in comparison to its volume. The NuScale module’s core is about one-twentieth the size of a standard large unit. The NuScale cores each sit in their own containment, a vessel a little like a thermos bottle. The containments are submerged in a huge pool of water. Like a thermos, the NuScale design uses a vacuum between the inner wall and the outer wall of its containment vessel, so the reactor can produce steam without heating up the surrounding water. If there’s a problem, valves will break the vacuum and the steam from the reactor will flow into that vacuum space, and condense into water. So that space, which used to be a vacuum, and insulating layer, will become filled with water which will conduct heat away from the core. The heat will naturally travel through that water and to the outer wall of the module, and from there into the pool. The heat will bleed away fast enough so that the core can’t heat up to the point of damaging the fuel. That principle leads to other advantages. The design is intended to be “walk-away safe,” with no short-term actions required by the operators. And existing reactors keep safety-grade backup diesel generators on site, but NuScale does not need these, because it doesn’t need the electricity to pump water or run mechanical systems to draw away heat. In fact this simple design does not use pumps when running normally to move the useful heat out of the core so it can be turned into electricity; that happens through natural convection. Of course, an inherently safe design is always a good idea. But there’s another advantage here. The NRC has yet to evaluate NuScale’s application, but NuScale’s engineering shows that the emergency planning zone for its plant should extend only as far as the plant fence. The reactor can be located close to where electricity is needed the most. That will make the NuScale reactor a good candidate for replacement power at old fossil-fueled sites in the United States, and in fast-growing cities around the world that do not have adequate electric local generation or a strong power grid to carry in power from distant places. *Photo by Andrea Nguyen, provided under a Creative Commons license.